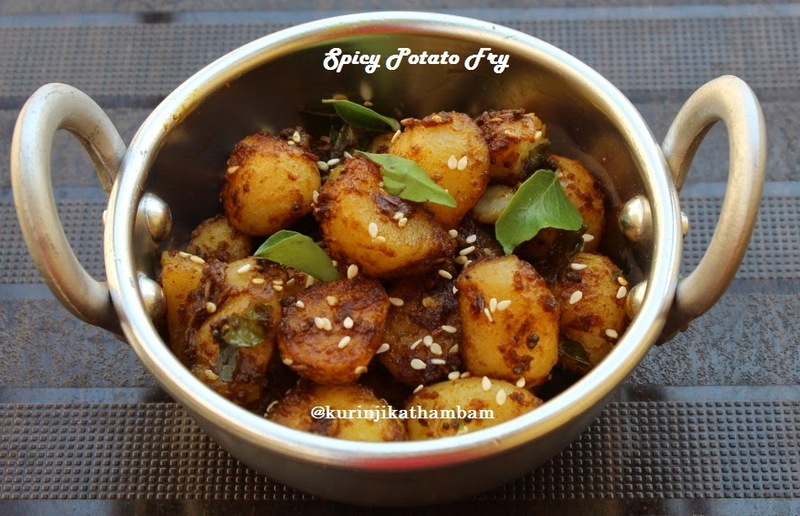 I wanted to try a spicy potato side dish that complements variety rice. This recipe has come out very well in taste in addition it surprisingly easy to prepare with less ingredients. 1. Wash and pressure cook the potatoes for 2 whistles. 2. Once the pressure has gone, then remove the potatoes from the cooker and allow it to cool down. Then remove the skins of the potatoes. Keep it aside. 3. 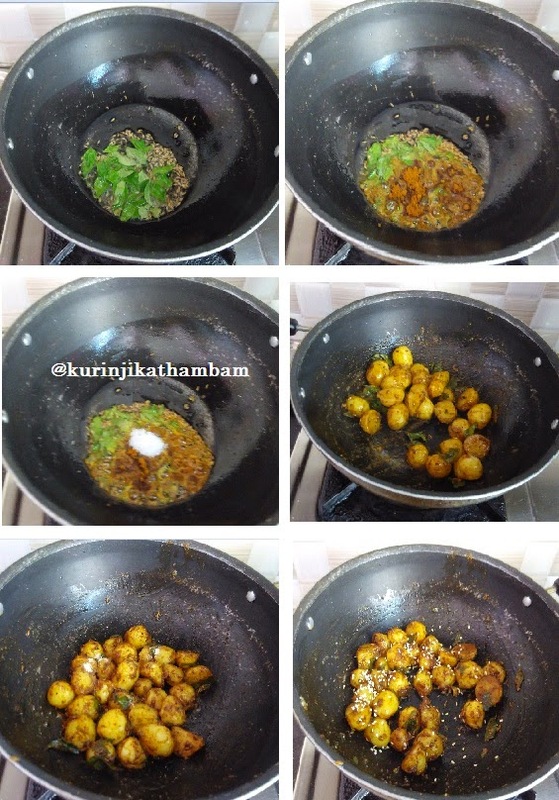 Heat the oil in a pan, add the cumin seeds and allow them to splutter. Then add the curry leaves, sambar powder and salt. Fry them for a minute. 4. Now add the potatoes and fry it in a medium flame for 3-4 mins. 5. Then add the asafoetida and fry for a minute. 6. Switch off the flame and sprinkle the sesame seeds and transfer to the serving bowl. You can use normal potatoes by cutting them into small pieces after cooking the potatoes. Otherwise use as it is.